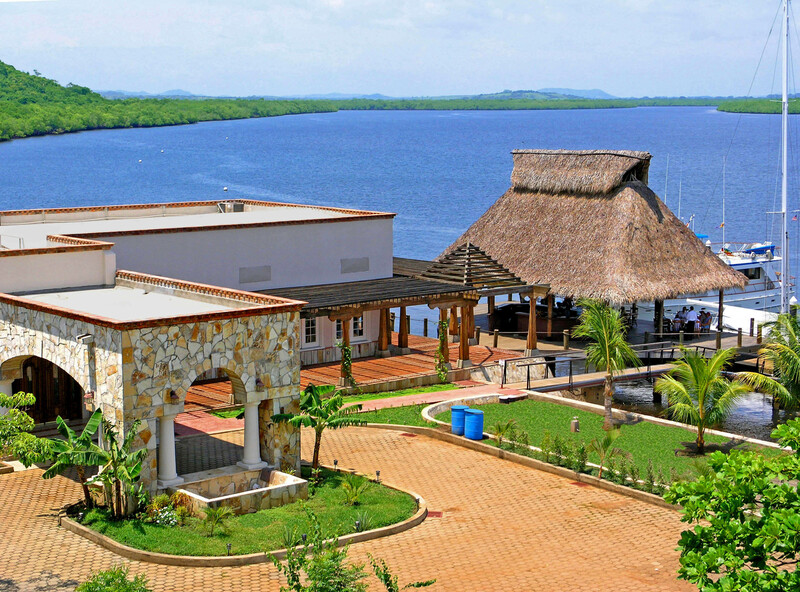 With over six hundred acres of unspoiled, pristine land, Marina Puesta del Sol is not only a beautiful and unique destination, but a gateway to the undiscovered scenic treasures of Nicaragua. Our guests enjoy the unique advantage of having access to the Pacific Ocean via a superb, private beach on one side of the peninsula, and the serene mangrove lined lagoon on the other. We take great pride in providing unparalleled service and attention to each of our guests, and dedicate ourselves to making your stay comfortable and worry-free. 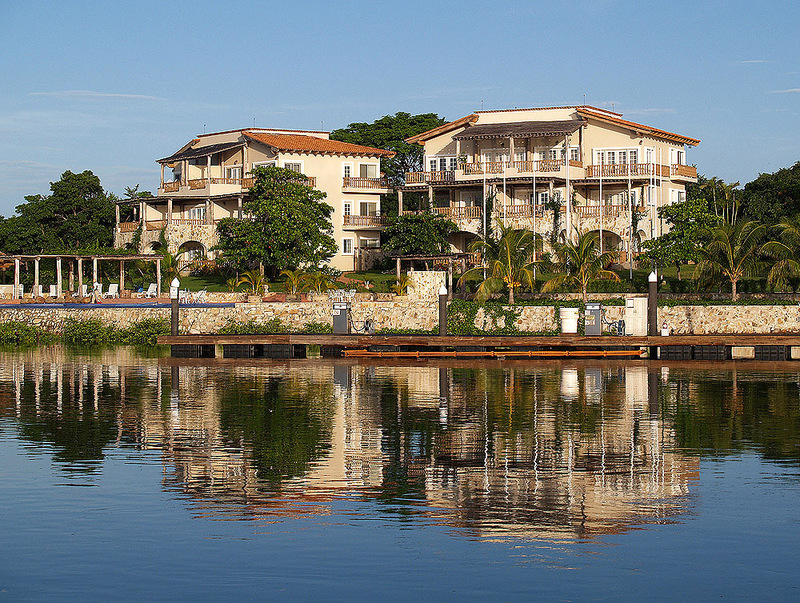 Marina Puesta del Sol’s large and spacious Club Nautico combines old-world charm with modern-day comfort and convenience. Through the distinctive stone reception arch and large, mahogany doors, you enter the main foyer to the reception area and dining room. The large, air conditioned dining room affords a spectacular 180° view of the marina basin and estuary. For visiting boat crews, we have spacious showers, changing areas, and laundry facilities. The first phase of hotel development includes two, three story buildings, for a total of 19 large suites. "Delfin" has eight executive suites on first and second floors with the entire third floor comprising the "Presidential Suite". This elegant suite includes two, full size bedroom suites with a large common area living room in which to entertain or relax. Step through the double French doors onto a large furnished terrace which runs the length of the living room. "Caballo de Mar" also has eight suites on first and second floors, but has two "Master Suites" on the third floor. Large double doors open from each bedroom to a comfortable adjoining living room. Each suite is lavishly appointed with imported marble and tile. A large Simmons "pillow-top" king size bed ensures a restful night’s sleep, and each suit features a sofa/sleeper bed, refrigerator and cable TV. Open the French doors and step onto your private terrace for a spectacular view of the deep azure waters of Aserradores. Relax and unwind in one of our spacious hydro-massage whirlpools. All suites are air conditioned for comfort, and have all the amenities one would expect of a top-flight hotel. 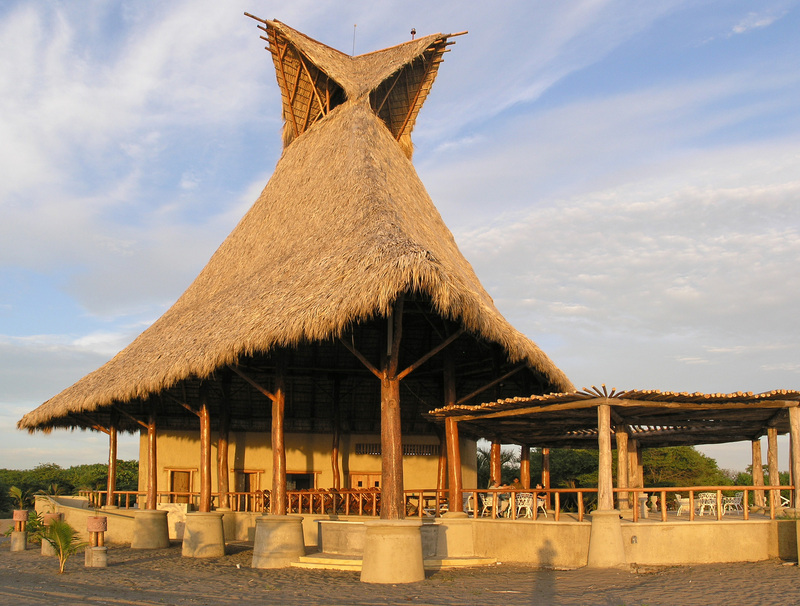 The Club de Playa is steps away from one of the most beautiful, pristine beaches on the coast of Nicaragua. Rising over one hundred feet in the air, the unique palm frond "hat" covers the restaurant dining area and bar. The open-air design takes full advantage of ocean breezes and provides a spacious place to unwind. The large pool is perfect for relaxation with family and friends after a swim in warm ocean waters. Here is the perfect place to watch another beautiful "puesta del sol" or sunset while you sip a cool beverage and listen to the waves play upon the sand.